【CGTN】龚烔：What will happen after billion-dollar dinner between Xi and Trump? What will happen after billion-dollar dinner between Xi and Trump? Editor's note: Dr. John Gong is a research fellow at Charhar Institute and professor at the University of International Business and Economics, and not necessarily the views of CGTN. Deal or no deal, that is the question. It turns out to be a half-cooked deal – a ceasefire, a truce. That is really the essence of what the White House called a “highly successful meeting” between Chinese President Xi Jinping and his U.S. counterpart Donald Trump in Buenos Aires on the sidelines of the 13th summit of the Group of 20 （G20） on Saturday. But at the very least, the slide down the abyss of a destructive trade war between China and the U.S., which would otherwise have had catastrophic repercussions for the world economy, appears to have been halted – for the moment. The two sides have agreed to conduct immediate negotiations about the so-called structural issues in China's trade practices. Let's walk through the list of things each side offered at the dinner table last night. Arguably this is probably the most expensive dinner and also the most expensive 150 minutes in recent human history, as billions of dollars were tossed across the table. 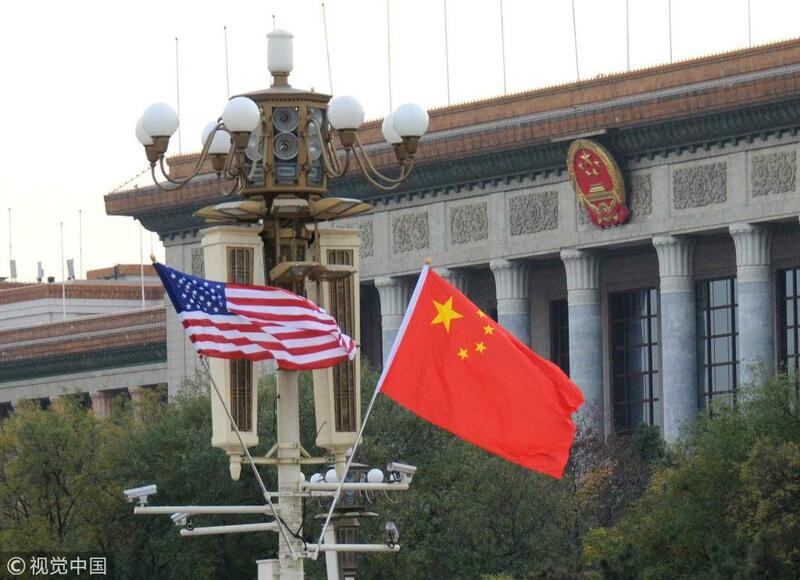 The United States agreed to leave the tariffs on 200 billion US dollars worth of products at the current 10 percent rate, and not to raise it to 25 percent. China agreed to purchase “a not yet agreed upon, but very substantial” amount of agricultural, energy, industrial, and other products. In addition, the purchase of agricultural products will start immediately. What China has put on the table is substantive, while what the U.S. has offered is just a promise. Nevertheless, given the substantial trade surplus China has maintained with the U.S. over the years, this possibly dozens of billion dollars of purchases represents only a drop in the bucket towards alleviating America's overall trade deficit, and more importantly, China is indeed in dire need of the highly competitive American agricultural products. In light of demonstrating sincerity for the ensuing negotiations, let's not fuss about these billions. The real challenge is what to expect next. Reportedly there exists a list of 140 some items subject to haggling between the two sides pertaining to those so-called structural issues in China. About one-third of them are indeed part of China's continued reform initiative plans anyway, already starting to be implemented. We have already announced tariff reductions. We have already announced the opening up of several markets. About one-third of them are things belonging to the same category that China is ready to commit to in the negotiations. The thorny issues that really touch upon the core elements of China's economic system, as I learned, are in single digit numbers. And my guess is they are related to issues of industrial policy, state subsidy and state-owned enterprises, and probably with some back and forth, we should be able to resolve these issues with the Americans shortly. If we look at the key elements of China's development model, which is practical, flexible and experimental in nature in the first place, there are actually not many things in fundamental conflict with the core values of American ideology. There are actually more commonalities than differences. That is the good news. What is a bit concerning is that the American tariffs are still looming if there is no agreement, or if there is poor implementation of the agreement? On this latter issue, we should learn the lessons from the previous 100-day negotiation last year after President Xi's state visit to the U.S. This trade war started this year partly because the 100-day negotiation did not generate the kind of outcome that both sides are looking for. So history has now offered a second chance for both parties to work things out again, and this time both sides had better really follow to their commitments at the negotiation table.